Saturday 22nd May and Sunday 23 May 2010, the 39th edition of the Amsterdam Sevens. The men’s sevens being again won by Samurai International who beat Millfield Old boys 44 – 5, this being the Samurai’s sixth title in a row. The Dutch Ladies took on the Spanish ladies, with a convincing win of 19 – 5. For the Veterans 10s, a battle was fought between Gameface Pacific Chiefs and Hi-Temp Corso Marauders, with the Marauders winning a close 17 – 14. The Amsterdam Sevens main Web Site. Next year will be the Amsterdam Sevens 40th Anniversary, and is scheduled to be held 21st and 22nd May 2011. 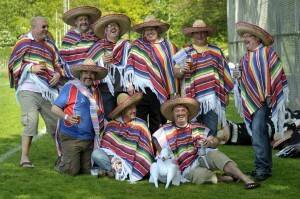 Team photos of the Pencoed youth team and their supporting Mexican Dads. Pencoed RFC (Wales) were in Amsterdam and due to play a full game against the Haagsche RC (Den Haag, The Hague). 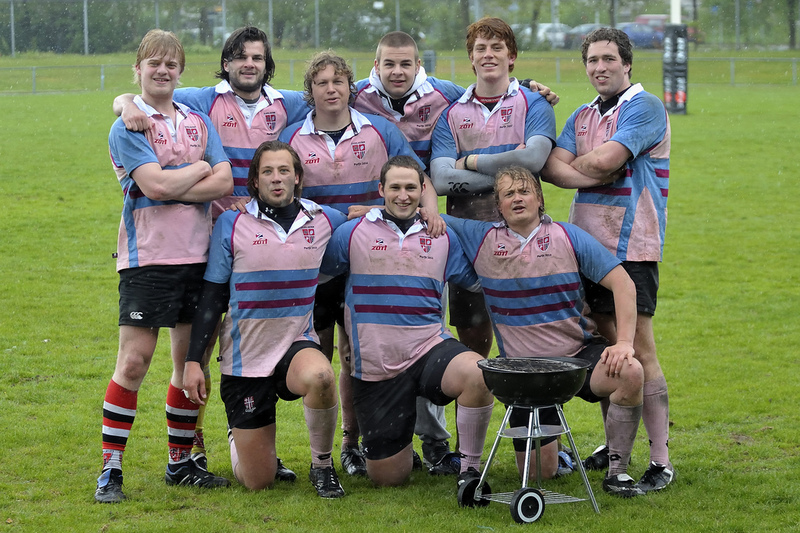 Game was directly after the first full day of play at the Amsterdam Sevens. 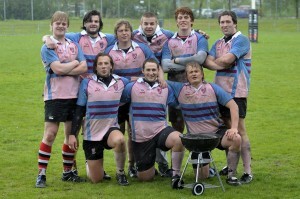 The Ascrum Sevens 2nd Tournament. It was the 2nd May, mid spring, but my god the guys needed that BBQ to keep warm, it was 7’C and Rain, Rain, Rain.